If you have purchased a copy of Play What You Hear, Jazz Guitar Video Masterclass or Guitar Made Simple and you have some support issues please read the following frequently asked questions in order to resolve your problem. If you cannot find an answer here you can contact us via email below. I have not received my course, how long should I expect it to take? Access to all programs are now online so you should receive an autoresponder immediately with login info. If that has not happened, we are at the mercy of the internet and we apologize if something didn't fire automatically. Please send a message and we will get you access asap. However, if you have ordered a DVD or print workbook, if you live within the USA it should take no longer than 2 weeks, usually less to arrive. If you live outside the USA it can typically take a little longer but not more than 3 weeks. If you haven't received anything in reasonable time, send a support ticket with your order id # or name you used to order the course and we will look into it right away. I am having problems opening the PWYH ebook program. I am running Windows Vista. We no longer support the ebook version. 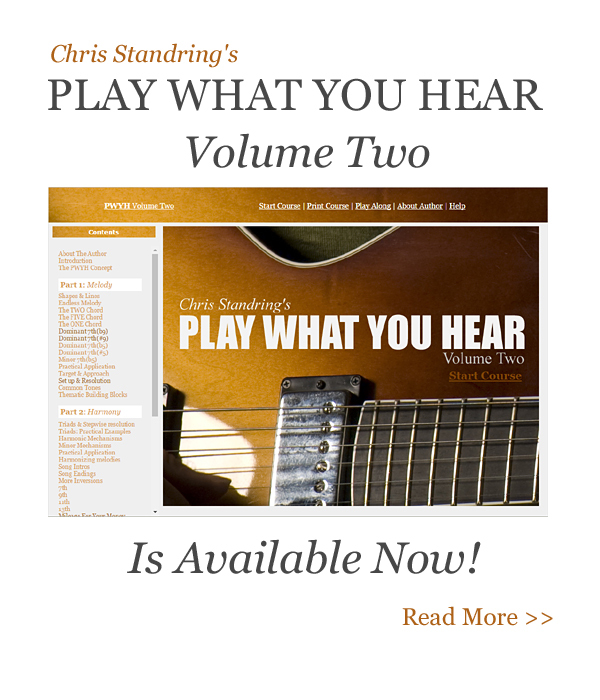 All Chris Standring's programs are now 100% online access (unless you ordered a CD ROM, in which case you will get access to the online version too, at no extra charge). Cloud based is better for everyone, there are no installation nightmares and all online programs are bang up to date. If you previously owned a download version or CD ROM, send a support ticket and we will get you a link to the online version. Please include your order id # or the email address you originally purchased with, as we need to find you in the system. My computer crashed and I lost the PWYH download course. How can I get it back.? Send a support ticket, we will send you a link to the always up to date online version. I want to upgrade from a previous older version, how do I do that? If you purchased a download or CD ROM version of PWYH you can get lifetime online access. Where are my bonuses that are supposed to come with the course I purchased? They can all be accessed from the top menu of your course program. It is a lifetime guarantee. However, one or two people abuse this policy which makes it no fun for the rest of us, so please treat this policy with the utmost respect. These courses have been designed with extreme care and for those serious about learning, there should never be any reason to return them. However, if you insist for whatever reason, send a support ticket with your order id #, and you will be sent simple instructions to obtain your refund. I can't hear any audio when I click the buttons, do I need to install anything? The latest course programs use HTML5 as its audio protocol. HTML5 utilizes mp3 audio which is something all browsers interpret. However, if you have an old version of any programs, (particularly CD ROMS) you should upgrade to the online version as older download versions utilized flash as its audio protocol which is slowly being phased out on the web. Fill out the form below with your order info and we can send you the latest, always up to date online version. I need some help with my course, can Chris explain one or two things to me so I can understand them better. The chances are Chris won't be available to help with musical issues. The courses have been put together so this shouldn't be a problem. If you are prepared to wait then once in a while try sending an email to Chris. How do I print the course? Look in the top menu of your course program where it says Print Course and you can print from these pdf files. You need to have Adobe Acrobat reader installed in order to do this. It is a free download. You can get that program here. I've become obsessed with the guitar and my spouse is now leaving me? Is this normal?